Is Gellert Spa open at Christmas? YES, it is. Gellert Spa Christmas opening hours are slightly different from the normal Gellert Bath opening hours. 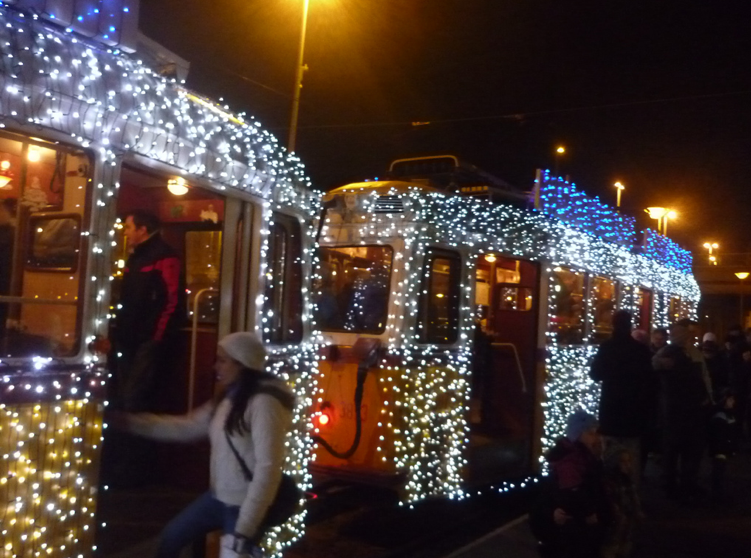 Come and celebrate your Christmas in Budapest with us at Gellert Spa! Most of the spring water pools and other thermal services are open on both days of Christmas (Dec 25 and 26) –as well as on Christmas Eve (Dec 24). 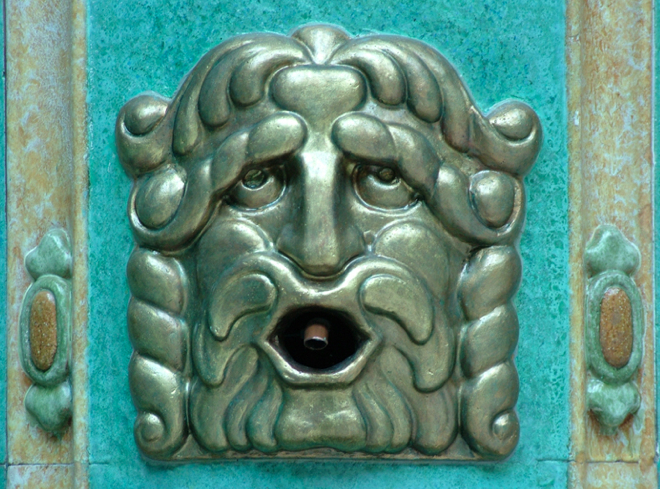 Dec 24: planned opening hours are from 6am to 2pm (all the facilities in Gellert Spa). Check-in for online reservations: 9 am – 1 pm. 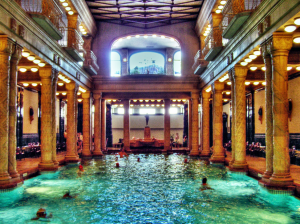 The rest of the major thermal baths in Budapest like Szechenyi Baths, Rudas, etc. are also open from 6am to 2pm. Kiraly Bath is closed on this day. Note: the entry price on Dec 24, Dec 25 and Dec 26 requires weekend tickets. Dec 25: planned opening hours are from 10am to 6pm (all pools and most of the thermal section). Check-in for online reservations: 10 am – 5 pm. 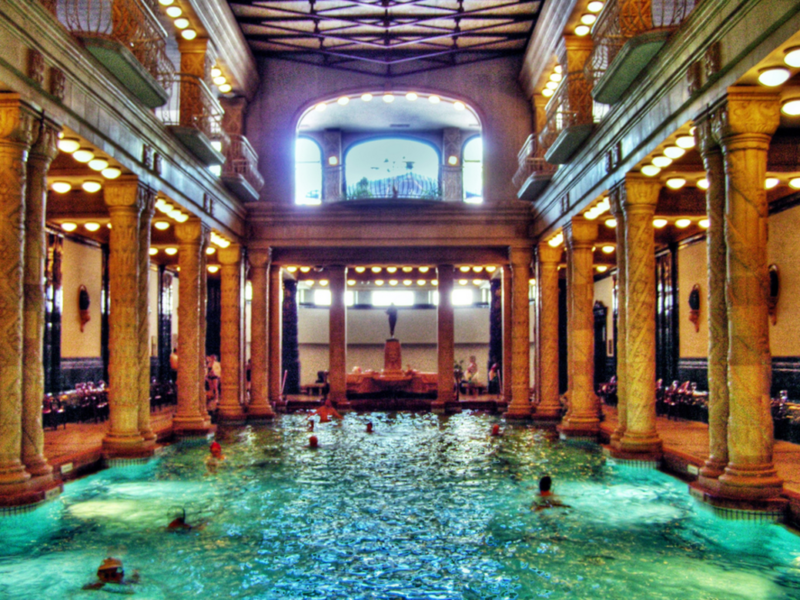 Also from 10am to 6pm on December 25 other Budapest baths are usually open: Lukacs Baths, Kiraly Baths, Szechenyi Bath. Dec 26: planned opening hours are from 6am to 8pm (all pools and most of the thermal section in Gellert Spa Baths). Check-in for online reservations: 9 am – 6 pm. Further thermal baths in Budapest will also be open on Dec 26: Rudas Bath, Lukacs Baths and Szechenyi Baths are open from 6am to 8pm, Kiraly Baths from 9am to 8pm. Budapest December 24 – Dec 24 is a semi bank holiday for Hungarians: please note that public transport and city life usually quiets down by mid-afternoon (let’s say by 3-4 pm). Budapest underground trains usually run until 4pm, then the metros are replaced with buses on the routes of the metro lines. Shops also close by 2-3pm, so local last-minute shoppers who will run around to find some gifts will have to finish their Christmas gift purchase by 2pm. Winter, and especially Advent days are some of the days making the thermal pools of Budapest Baths world famous. Enjoy winter days in a healthy and relaxing way. There is a wonderful Budapest Christmas Market, one on Vorosmarty Square and the other right in front of the St Stephen’s Basilica – both in the city centre of Budapest. December 24 may not be called ‘Christmas’ by you, but this day is the traditional ‘boxing day’ in Hungary, when families visit each other, stand and sing around the Christmas tree, have a festive dinner of fish soup, etc. Hence the shortened opening times on December 24.